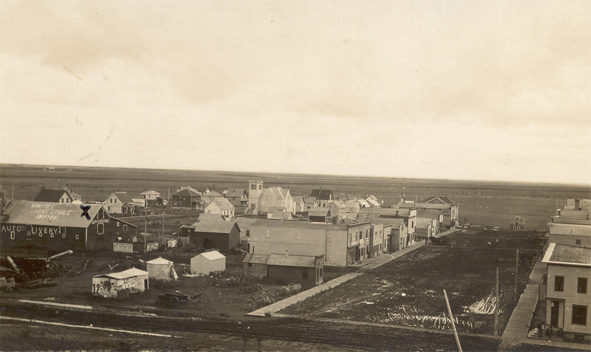 The village of Tugaske pictured from the top of a grain elevator. 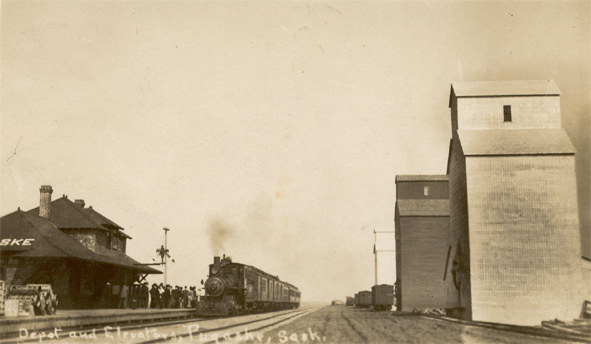 The x marks the business my grandfather, with relatives and friends, purchased in about 1911. It was a horse livery business plus possibly a motor garage. Later he was in partnership running a motor garage in Holbeach, Lincolnshire with relatives & friends. 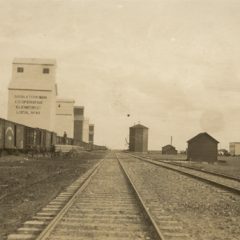 The partnership dissolved in around 1930. The site is now a bank. A layout not leaving home- could be an exhibition candidate later? Small O scale layout (1:48) of a small wayside station in Saskatchewan. The village chosen is a real place- my father was born there in 1913- but the layout will be set in more recent times, post 2nd World War, but before Tugaske lost its railway(?). 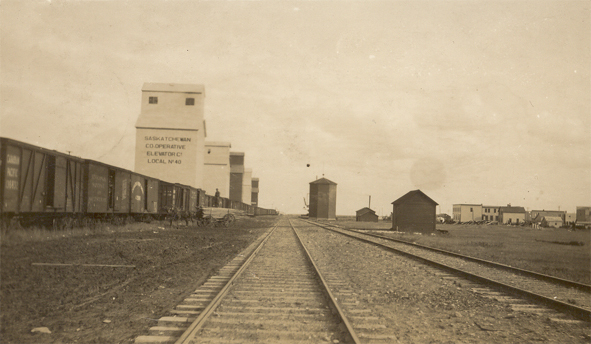 The grain elevators are the most prominent buildings even to this day. 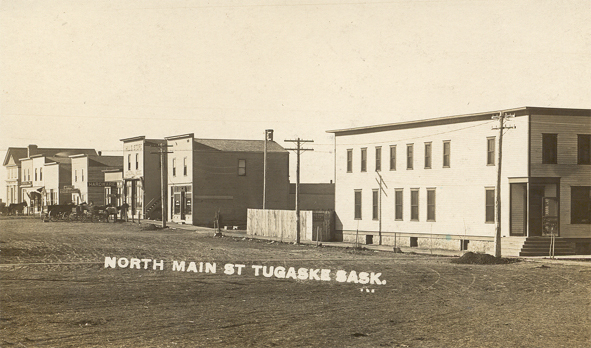 Tugaske’s population is now less than in 1913.